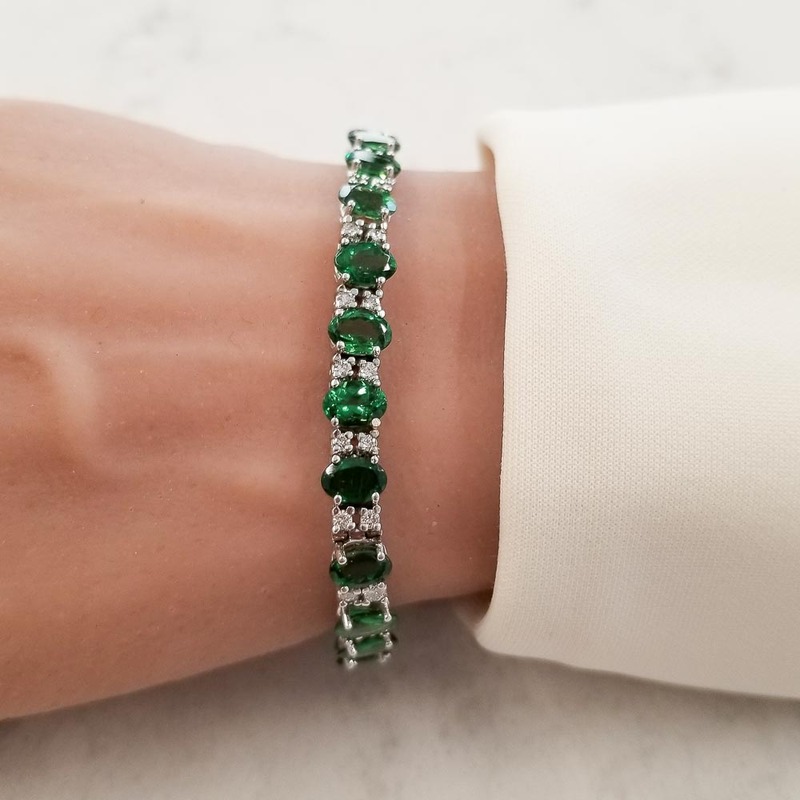 Pops of vibrant color meets brilliance and fire with this stunning eternity bracelet that features 24 oval cut,prong set, luscious tsavorite garnets with a total weight of 17.54 carats. The gem source is Tanzania. The color is vibrant; the luster and clarity are superb. Forty-eight round brilliant cut diamonds are prong set in intervals of two between these beautiful green garnets total 1.37 carats. The hidden slide clasp and safety latch secures this gorgeous bracelet, all in brightly polished 14 K white gold.